What are the Different Types of Thermostats? Home is where we find ourselves relaxing and unwinding, breaking free from the stresses of the world outside. And one of the best ways to keep comfortable is by making sure that our rooms are at a reasonable temperature, wherein we’re not too warm or not too cold. If the weather outside is hot, we could use our air conditioning system to get cozy enough. Meanwhile, if the weather is cold, we may use a heating system to keep it balanced. And in the middle of it all, a reliable thermostat adjusts these appliances according to our preferences. 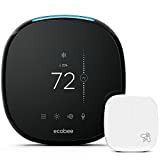 A programmable thermostat lets you set a specific temperature for a certain date and time, so that your room reaches that point when you need it the most. Depending on the unit, a thermostat may be programmed to a certain weekly setting, or have a separate adjustment for weekdays and weekends. Once you find the perfect model that is compatible with your HVAC (heating, ventilation, and air conditioning) system, the only thing that is keeping your from enjoying it is the safe installation of your Programmable Thermostat. This guide is here to walk you through that process. You no longer have to sit around and wait for anyone to do it, because soon you can do it yourself. Be reminded though that if you are unsure with what you are going to do, it is always better to call for professional help just to be on the safe side. Wondering how to choose the right thermostat? Check out our buying guide! Before Installation a Programmable Thermostat. Before installing your new programmable thermostat, you must first read all the instructions on the unit, even if they don’t make much sense yet. If you have an old thermostat, you will notice that the instructions are a bit different from the ones you did before. The manufacturer’s installation guide may differ for each model, so study the instructions that come with your new one. Some manufacturers conveniently include their email address and contact numbers with the box, so you could always ask questions if you have any. Turn off all electricity at the main fuse box or circuit breaker box before touching anything. Some will tell you to simply switch off the electricity to your HVAC system and the room where you’ll install your Programmable Thermostat. And while this is a viable option if you know which switches deactivate which electric source, you can still opt to just turn everything off. You can always switch them back on all at once when you are done. To remove your old thermostat, you must take off its cover first. Some models have covers that pop off easily with a little pressure, while some have to be unscrewed. Also remove the control panel and carefully set it aside. What you will have left are the wires that were connected to your old thermostat. Carefully label these wires and take note of where they were attached before you removed the control panel. You can use masking tape and permanent marker to properly label each wire. Next, remove the old base thermostat base plate carefully. Make sure that the wires do not fall back into the wall while doing this, because that would just result in unnecessary stress. Tape each wire to the wall if you think they could slip down easily. Once you have your old thermostat removed, do not dispose of it immediately. Research what kind of model it is first. Many older models, particularly electromechanical ones, contain mercury that must be disposed properly. Contact your local waste authority for help regarding this. Attach the New Wall Plate and Programmable Thermostat. Place your new programmable thermostat’s wall plate on the wall and use a pencil to mark the mounting position. This should serve as your guide for the next crucial step, which is drilling in a few holes. You can consider yourself lucky if most of the old mounting holes are exactly where you’ll be placing the new wall plate. Most of the time, these holes are incompatible and you will have to make new ones. Take your drill and carefully create the holes you need for mounting the wall plate. When that’s done, you can screw in the wall plate with ease. Double check if it is aligned perfectly, and then tighten the screws. After that, it is only a matter of matching and connecting the wires to the appropriate parts of your new programmable thermostat, making sure to remove all the unnecessary tapes and markers. Add batteries if necessary. Some models do not require batteries, while some allow for easy battery replacement, without making you open the programmable thermostat with screwdrivers. Finally, attach the cover of your new Programmable Thermostat to finish the job. Now you can finally turn the electricity back on, and program the unit as you see fit. Here is where you reap its benefits after only a few minutes of hard work. 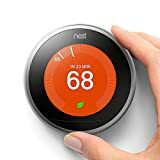 Next post What are the Different Types of Thermostats?